Business process improvement, coupled with automation, makes for a good one-two punch to P&L maladies. The order in which the two are applied, however, can have profound implications in terms of an organization’s overall benefit from applying the two. Process improvement makes processes more efficient and reduces redundancy and variation, while automation simply increases process speed—whether a process is optimized or not. When one automates an inefficient process, the result is simply an inefficient process that operates faster and, in the case of a highly inefficient defect-ridden process, the outcome will be a process that produces more defects at a faster rate. Far too many organizational leaders erroneously confuse automation with process improvement and the results from the transgression can be, at best, less than optimal and, at worst, disastrous. If my objective, for example, is to travel from Phoenix to New York and I decide that I am going to start out walking west to Los Angeles and then east from Los Angeles to New York, few would argue that my proposed process of getting from Phoenix to New York was sound. So, in response to the multitude of critics, I determine that I will automate my process by jumping in my car and driving west to Los Angeles and then east to New York. I will get to New York a lot sooner by adding automation, but my plan is still problematic, isn’t it? Why am I heading west first to get to a destination that is east of my starting point? Could it be because that’s “just the way we’ve always done it before?” Perhaps there actually was a valid reason that existed initially, but that has long since faded from relevance. In any case, shouldn’t we examine the activity from a process improvement perspective first to see if we can make it more efficient by eliminate the Phoenix-Los Angeles step to arrive in New York even sooner? In most cases, processes improvements are more difficult and costly to affect once automation has been applied. Let’s say, in the example above when I automated my process, I also arranged (at a cost) refueling, lodging, and meals along my intended route. Now that I am looking to improve my process by removing the Phoenix-Los Angeles step AFTER I have automated the inefficient process, I realize that not only did I waste effort, time, and money by arranging the Phoenix-Los Angeles step (that is found to be no longer necessary), but I may have to invest further effort, time, and money to un-arrange it. Though the example I have presented above may seem a little far-fetched, it is a very fitting analogy to highlight the nature of difficulties that organizations encounter when failing to implement process improvement and automation in the appropriate chronological order or simultaneously. I have encountered numerous real-world instances where organizations have implemented databases in advance of process improvement only to determine that their new-and-improved databases capture data that is either useless or in a format that is useless in the improved process. In other cases, organizations have implemented automated Enterprise Resource Planning systems (ERPs) in advance of process improvement only to find that the ERP modules they implemented were either inconsistent with the improved process or less useful in the improved process than the modules they had not implemented. We’ve all heard of spaghetti code (a term used to describe computer programming that is unnecessarily convoluted), right? As any IT professional reading this article will attest, the vast majority of this particularly troublesome programming is the byproduct of older code being modified several times over the years. Since programming (automation) is typically based on an algorithm that is mapped to a process, whenever a process is changed or improved after it has been automated some code changes will be required that will most likely contribute to the accumulation of spaghetti code. While this may seem like a minor issue, it is not. This problematic spaghetti code can have a profound impact on an organization’s daily operations and, in some cases, bring the organization to a grinding halt. I have seen small and large organizations pump big dollars into large-scale IT projects that were focused on simply addressing the issue before the issue addressed them. Business process improvement and automation can help organizations to increase their bottom lines and effectively grow, but only when the two are applied in the appropriate chronological order or simultaneously. 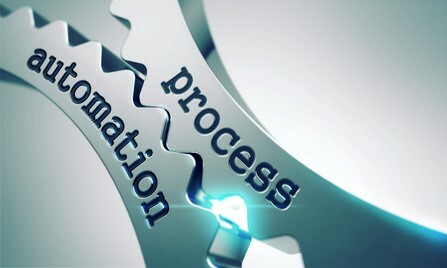 If an organization implements automation in advance of process improvement, that organization runs the risk of actually making their current situation worse than it was to begin with. Whether you are considering implementing a new database, ERP, or even a minor code change to automate an existing process, do your organization a favor and make sure that at least the organization’s major processes are optimized first. Rich St. Rose is the President and CEO of Amelioration Incorporated (www.ameliorationincorporated.com), a company that provides Lean Six Sigma business process improvement consulting and training, business planning, and market analysis services. If you have enjoyed reading this article and would like to keep similar articles coming, please remember to click the “Like” button and follow Rich St. Rose on LinkedIn. Also consider leaving a comment and/or sharing the article so we can keep the discussion going.